Real tourbillon watch is very rare in our watch market. Most of websites claimed that they have tourbillon replica watches, but that’s not true. Their so-called tourbillon is just an opening window on the dial that displays the balance wheel, that’s not real tourbillon watch. Due to limitation of technology and cost, I seldom saw tourbillon function in replica watches, the factory usually spent a lot of money to install one tourbillon movement in a replica watch, so it means that they must sell the replica at a very high price, most people do not want to spend their money on such a replica watch that is not 100% perfect, so sometimes it is just a waste of time and money. 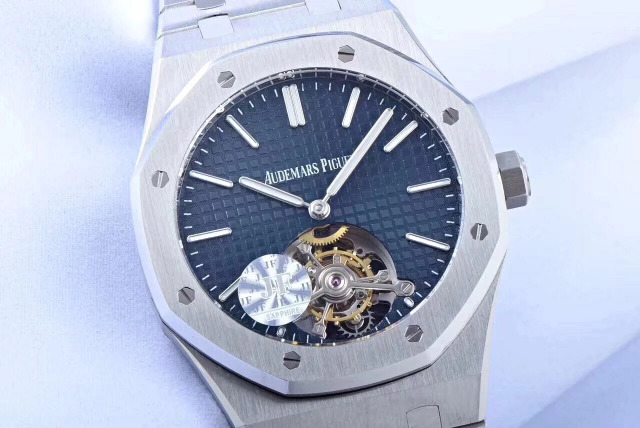 There are two disadvantages on those tourbillon replica watches made in the past, first, the workmanship, which includes case finish, dial details and bracelet, is not good. 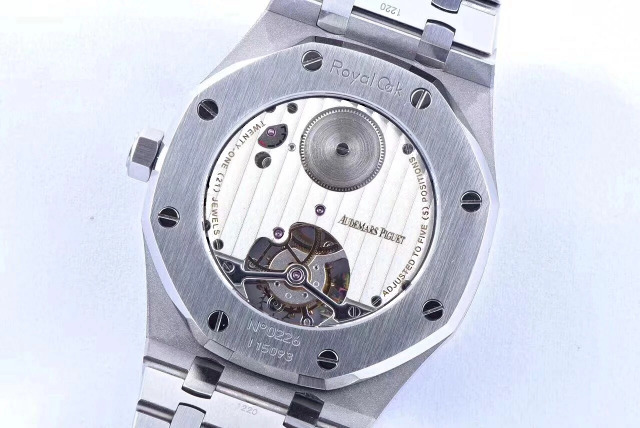 Second, the tourbillon device is fake, not genuine. 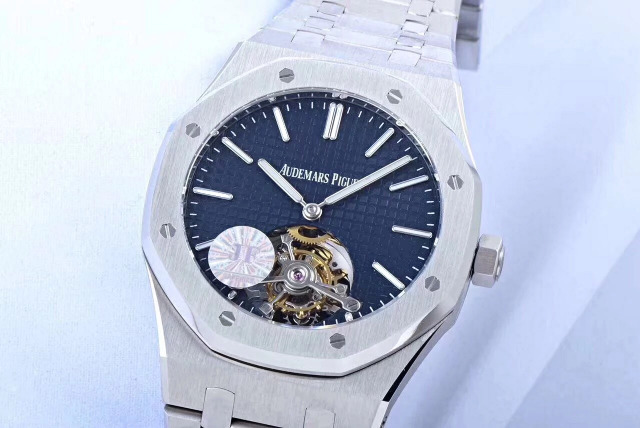 Today, I want to introduce one replica Audemars Piguet Royal Oak Tourbillon watch that has completely solved these two issues, the replica here uses a genuine tourbillon movement and has a superior workmanship. 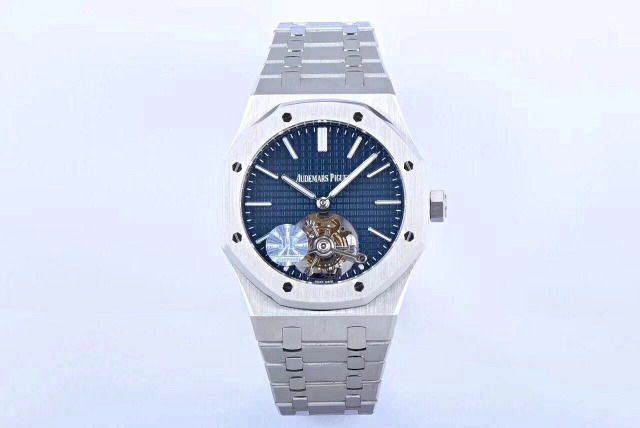 The replica Audemars Piguet is made by J12 factory, we have already known that this factory is good at manufacturing the best quality replica Audemars Piguet watches, their Audemars Piguet replicas not only have a perfect case finish, but are also equiped with the latest developed super clone AP caliber. 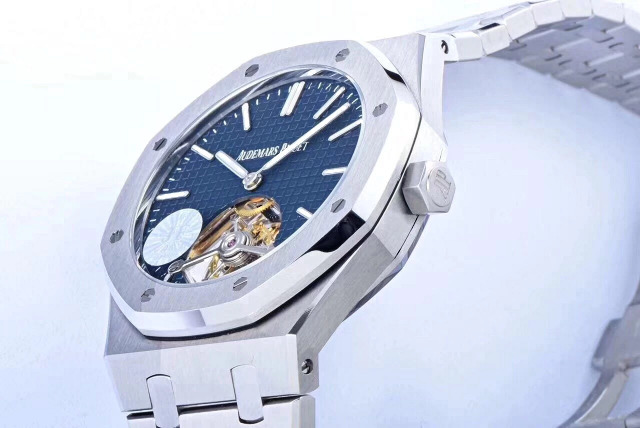 This time, J12 used their ingenuity in this Audemars Piguet replica watch and created such an accurate timepiece. I would like to talk its beautiful dial first, it is in elegant blue, these checkers are refined. All stick hour markers use classic design of Royal Oak, long and slim. 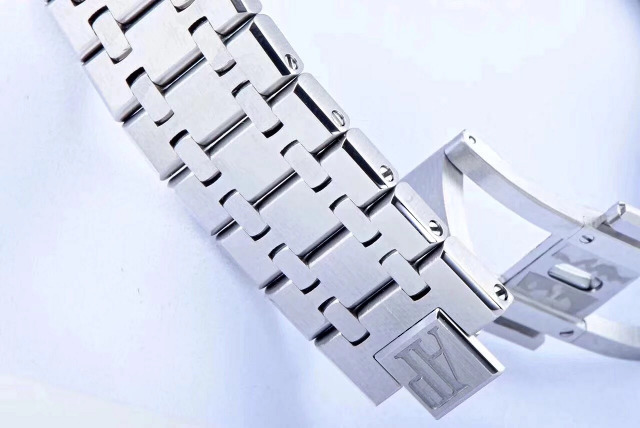 Hour markers and hand feature silver edge and are filled luminous material. You can see the tourbillon device is displayed through the window that is opened at 6 o’clock. I have compared the flying tourbillon device with that one on genuine watch, they are very close, almost the same. 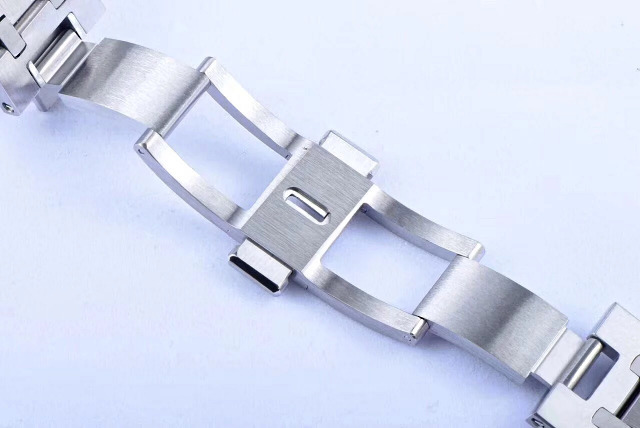 Look at the bridge that has two ends fixed on the dial, it is the same construction of tourbillon movement on genuine watch. The tourbillon device will start to work if you manually wind the watch. 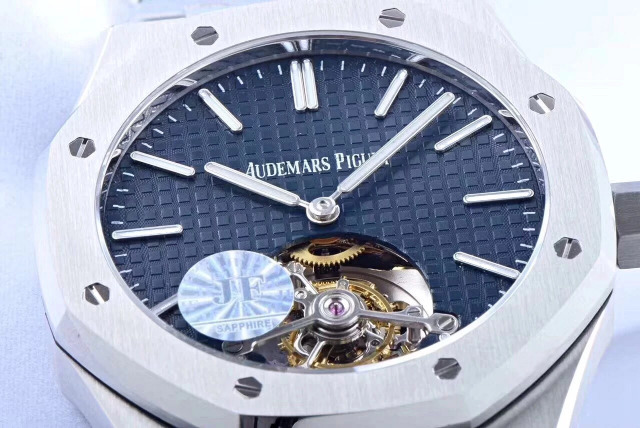 I do not want to talk too much about the whole watch finish, it is just as good as other Audemars Piguet replica watches made by J12 factory. 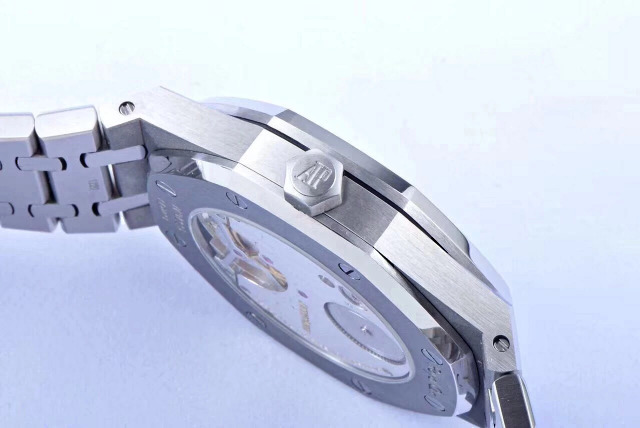 Please read the following specification to know the watch better.